Go! to work. Go! to the gym. Go! the long way home. Townie® Commute Go! is a battery-powered, pedal-assist bike that lets you ride like the wind without breaking a sweat. The comfort and control of Townies Flat Foot Technology® combined with the Bosch Performance System offers four levels of power support from Eco to Turbo mode, allowing you to tackle your commute with ease. Simple to use and fun to ride, the Townie Commute Go! comes standard with all the upgrades needed for a long, sweat-free ride to work. 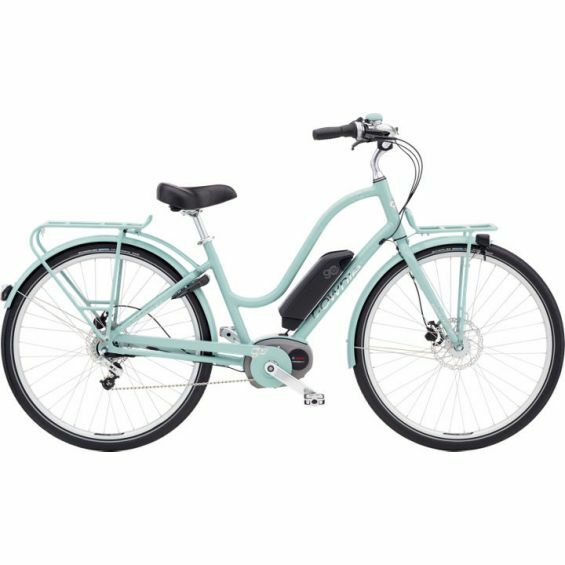 Color-matched fenders ensure a clean ride in all conditions, heavy-duty front and rear racks let you carry everything you need for the trip, and front and rear lighting show you the way home safely. Its all supported by 700c Schwalbe Fat Frank puncture-resistant tires and hydraulic disc brakes that can handle whatever you throw at them. Youve got places to Go! This is just the bike to get you there.